It’s likely to all change, of course, and maybe a few times even before the June 12 summit between Trump and Kim. But the president is closing out one of the most successful weeks of his presidency with now typical staffing chaos and yet fresh signs that he has redefined both the Republican Party and bipartisan norms. Trump again displayed his dominance inside the GOP this week, with a series of primaries where Republicans fought over who loves the president the most. Even Trump’s anti-endorsement worked, helping to prevent a flawed candidate from capturing the Senate nomination in West Virginia, and he signaled an aggressive, nicknamed-filled battle against Sen. Joe Donnelly in Indiana Thursday night. Thursday also brought the extraordinary images of the president welcoming home three Americans from North Korea. 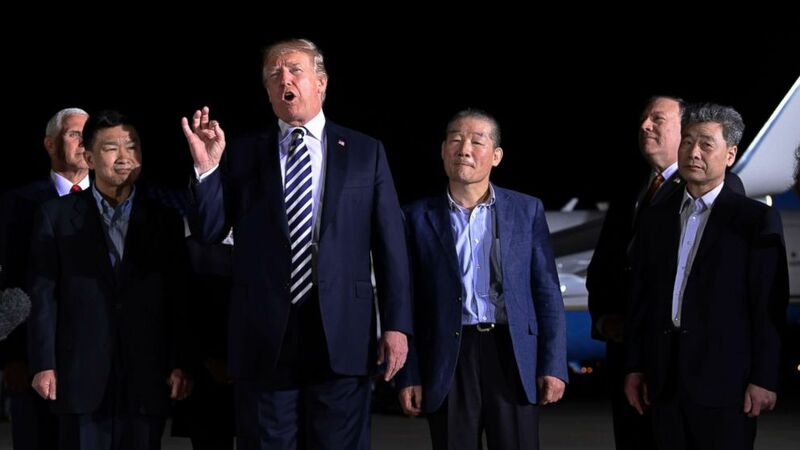 That was accompanied by perhaps even more extraordinary words, with the president thanking Kim for being “excellent” to the detainees that his own regime had held captive. There will be plenty of opportunities for both political Trump and diplomatic Trump in the six months that loom before the midterms. Increasingly, though, the president has shown there’s little distinction – that, to him, all transactions are personal, even as he normalizes the abnormal in Washington. President Donald Trump and first lady Melania Trump walk with former North Korean detainees and others, upon their arrival,May 10, 2018, at Andrews Air Force Base, Md. This week the forecast seemed strong for a potential Pink Wave in November as well as a long-lasting #MeToo movement. Democrats took a political blow Monday, when allegations of sexual assault and misconduct came crashing down against New York Attorney General Eric Schneiderman. Within hours the progressive powerhouse had been swept out of office, resigning after members of his own party said he had to go and reminding the country of how frequently powerful men are perhaps abusing power. Tuesday, female Democratic candidates – many of them new to politics — fared well in party primaries. In 27 open races this week, 17 female candidates advanced to the November general election with Democratic Party nominations. In Ohio alone, a crucial battleground state where Democrats are hoping to pick up a handful of seats, female candidates made it through the primaries in 10 of the state’s 16 House districts. 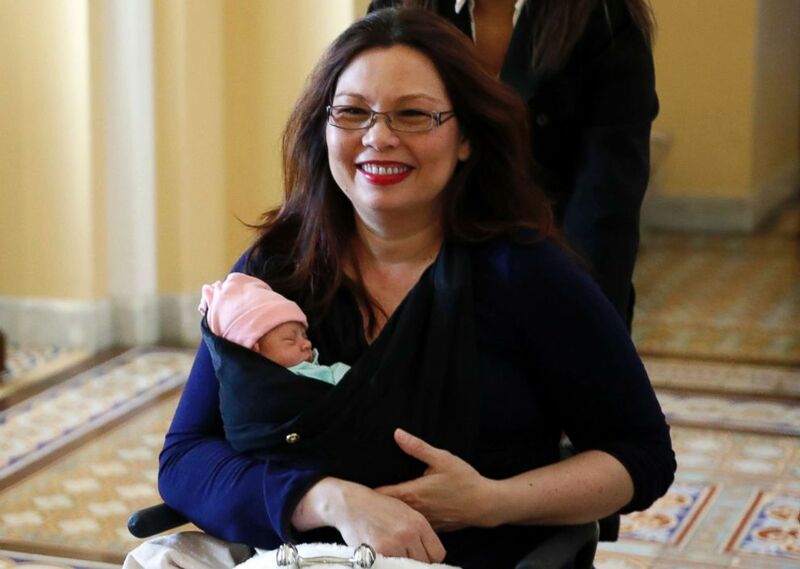 Sen. Tammy Duckworth last month reminded the country how relatively rare mothers are in the U.S. Congress, especially mothers with young children. In a sign that politics-as-is might be changing, the Federal Election Commission yesterday sided with some famous, outspoken women (i.e. Hillary Clinton) and agreed that women running for office should be able to use portions of campaign funds to pay for child care. The first of many adjustments that politics-as-usual might need to make in the face of forces at play. Sen. Tammy Duckworth carries her baby Maile Pearl Bowlsbey after they went to the Senate floor to vote, on Capitol Hill, April 19, 2018 in Washington, D.C. 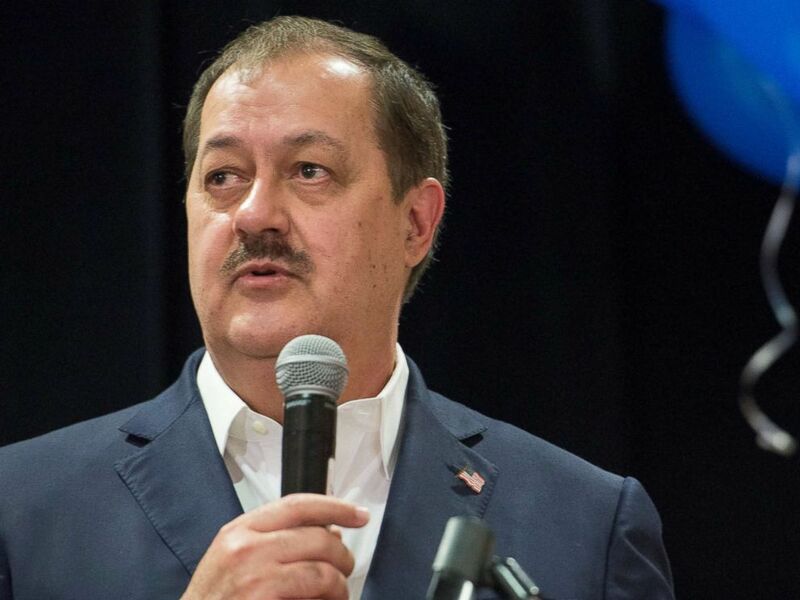 The GOP may have breathed a premature sigh of relief Tuesday night when controversial former coal baron Don Blankenship lost to current Attorney General Patrick Morrisey in West Virginia’s Republican Senate primary. “To all of Blankenship’s supporters I would say this: Don’t throw away your yard signs just yet,” a Blankenship spokesperson told ABC News. Blankenship is looking at running in the general election as an independent, even though West Virginia has a “sour grapes” law that prohibits losing primary candidates from switching parties or running as an independent in the general. The ex-convict and millionaire’s continued presence in West Virginia Senate race is just one more challenge the Republican party faces as they take on sitting Democratic Sen. Joe Manchin in the 2018 midterm. Blankenship, who on election night said he thinks Morrisey will lose in November, also plans to “go after” Morrisey in the general election, according to his spokesperson. Morrisey, who is up against Manchin in November, launched an aggressive campaign against Blankenship in the days before Tuesday’s primary. Republican U.S. Senate candidate Don Blankenship speaks to his supporters during the primary election in Charleston, West Virginia, May 8, 2018. The president makes remarks on lowering prescription drug costs at 2 p.m. The president holds a roundtable with automaker CEOs at 11:45 a.m.
Secretary of State Mike Pompeo holds a joint press avail with South Korean Foreign Minister Kang Kyung-wha at 3:15 p.m.
Pompeo meets with Canadian Foreign Minister Chrystia Freeland at 4:30 p.m.
Former FBI director James Comey holds a book discussion at the Brookings Institution at 2:30 p.m.
“Would not have done it if I wasn’t inspired by what this man did in 2016 … I’m a businessman and an outsider, just like our president.” — Michael Braun, the new GOP nominee for U.S. Senate in Indiana, after President Trump pulled him onstage to speak at a midterms campaign rally in Elkhart, Ind. The Note is a daily ABC News feature that highlights the key political moments of the day ahead. Please check back Monday for the latest. Solar Jobs Fell For The First Time In 7 Years In 2017. Now Trump Could Make It Worse.